Dr. Thomas Hubbard's careful judgment and many years of training and experience in facial surgery are of great benefit to people considering facial implants in Virginia Beach. Dr. Hubbard uses video imaging during his consultation to help demonstrate what can be accomplished. He also offers fat grafting as an alternative to any implant. Whether you are considering chin implants in Virginia Beach or cheek augmentation, Dr. Hubbard's thorough consultations and intricate planning help you achieve results that are subtle and natural-looking. Request a consultation online or contact our office by calling (757) 600-6227 to discuss your options. Are Facial Implants for Me? 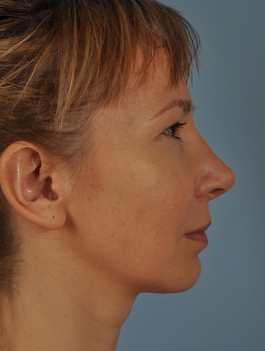 Facial implants can improve the appearance of the face by restoring balance, shape, volume or symmetry. 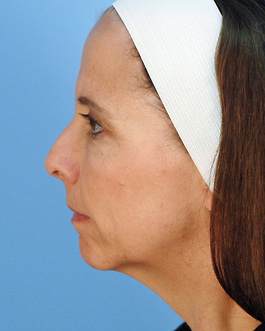 Men or women who feel as though their chin is undefined or weak may benefit from chin implants. 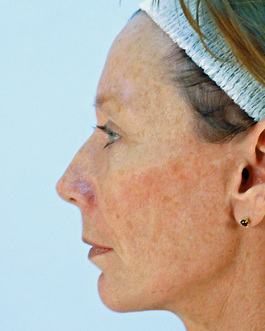 Cheek implants can restore facial contours and minimize the hollowing that occurs with age. 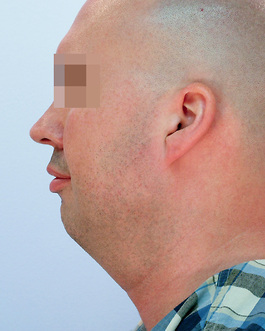 Patients concerned with a double chin can also benefit from facial implants. Most people require general anesthesia or IV sedation for facial implant surgery. 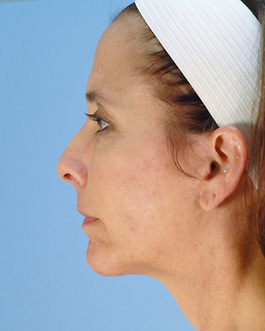 Depending on the procedure, incisions may be made inside the mouth, below the chin, or along the jaw line. Dr. Hubbard then places the implants in the cheek, chin, or jaw through these incisions. Fat grafting may also be performed along with implants, with removal of fat in certain areas or by itself. Sutures are removed within 1 to 2 weeks and full results will appear over the next few months. A face lift or neck lift can also be used to sculpt facial contours and provide a more aesthetically pleasing appearance. The science of facial implants has evolved considerably in the past 10 years. First, the long-term safety of silicone has now been firmly established. 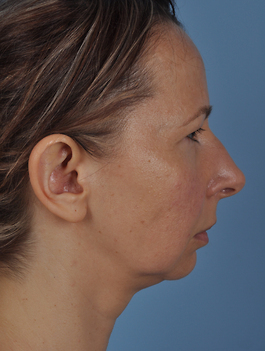 Second, while these long-term studies were being performed, cheek and chin implants were completely redesigned. Now with many shapes and sizes of implants, some with computer-generated, high-tech designs, the results of surgery are much more natural and the ability to rejuvenate significantly more powerful. Cheek implants can not only highlight the cheekbones but extend into the mid-cheek to minimize hollowing that occurs with age. There are implants to fill in depressions on both sides of the base of the nose as well as implants to build up the bridge of the nose. Each of these procedures is customized to the patient's individual needs and alternatives discussed. Another concern for many people is a deep horizontal crease beneath the lower lip. Major jaw bone surgery is always an option, but for a less invasive approach, fat or injectable fillers such as Restylane® can help greatly. "Witch's chin deformity" refers to soft tissue that hangs down beneath the chin, sometimes only visible when smiling. It can be developmental, appearing during adolescence, or it can be associated with age. 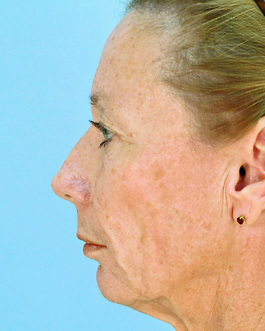 Regardless, excision of the hanging tissue can nicely refine and rejuvenate the jaw line or neck. The scar is nicely hidden below. 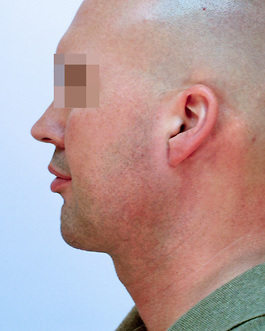 Please visit our photo gallery page to see examples of facial implant surgery.